So that is what this book is about. It’s about my somewhat tangled personal history with SF, first as a child, then as an adolescent, then as a one-time student and academic, then as a reviewer and commentator, and then, finally, as a composer. But Margaret Atwood doesn’t want any of her books to be called science fiction. In her recent, brilliant essay collection, Moving Targets, she says that everything that happens in her novels is possible and may even have already happened, so they can’t be science fiction, which is “fiction in which things happen that are not possible today”. This arbitrarily restrictive definition seems designed to protect her novels from being relegated to a genre still shunned by hidebound readers, reviewers and prize-awarders. She doesn’t want the literary bigots to shove her into the literary ghetto. The motive imputed to me is not in fact my actual motive for requesting separate names. (If winning prizes were topmost on my list, and if writing such books would guarantee non-wins, my obvious move would be just to avoid writing them.) What I mean by “science fiction” is those books that descend from H.G. Wells’s The War of the Worlds, which treats of an invasion by tentacles, blood-sucking Martians shot to Earth in metal canisters—things that could not possibly happen—whereas, for me, “speculative fiction” means plots that descent from Jules Verne’s books about submarines and balloon travel and such—things that really could happen but just hadn’t completely happened when the authors wrote the books. I would place my own books in this second category: no Martians. Not because I don’t like Martians, I hasten to add: they just don’t fall within my skill set. Any seriously intended Martian by me would be a very clumsy Martian indeed. Now that I’ve read In Other Worlds, I can appreciate Atwood’s motivation better and give her more credit than to assume her rejection of the label “science fiction” is due to sheer snobbery. However, when you move away from the critical reception and perceptions surrounding a genre, you become, as Atwood herself acknowledges, mainly preoccupied with matters of pure literary taxonomy, and this is not something I’m particularly interested in myself. Jeanne, who was not a fan of In Other Worlds, called it Atwood “at her curmudgeonly worst”, and although I enjoyed it more than she did I can sort of see what she means. I can accept that the distinction Atwood draws between “speculative fiction” and “science fiction” – stories about the possible vs stories about the impossible – is semantic but not necessarily hierarchical. My only qualm with it is that it bears little resemblance to how the terms are used in the real world, and I’m not sure if it’s useful to fail to acknowledge that. Besides, to paraphrase what China Miéville said when I saw him last year, I find gender labels interesting and useful when we think of them in terms of storytelling traditions that are part of a writer’s arsenal, but not so much when we begin to insist in drawing rigid lines. The older I get, the less I care about genre distinctions in this sense. But! The reason why I really enjoyed Atwood’s collection in the end is that it’s divided into three parts, and only the first of these is about literary taxonomy. The second part, “Other Deliberations”, collects Atwood’s essays about science fiction she has read over the years, while “Five Tributes” contains examples of her own attempts at SF. And even the first part goes far beyond the distinction between speculative fiction and SF I mentioned above: it also deals with Atwood’s thoughts on mythology and its relationship with SF, on the role stories play in our lives, on literary hierarchies and much more, and these were all a delight to read. Considering my fondness for books about books, it’s unsurprising that most of my favourite sections of In Other Worlds were essays on specific works of science fiction that resonated with Atwood – I particularly enjoyed the ones on George Orwell and on Never Let Me Go, which she analyses with great astuteness. Despite what I said above about my interests having moved beyond genre labels and their definitions, I really enjoyed the time I spent with this book mostly because of, as Clare puts it, Atwood’s “thorough and incredibly kind grasp on humanity”. This collection made me like her even more than I did before, and it’s always a pleasure when that happens. I haven't read much Atwood, but from what I can tell, she does delve deeply into speculative fiction, without exactly getting into the "science fiction" category. I find that there is a distinction that I make between the types of books that she writes, and the types that fall strictly into the science fiction guidelines. I would love to read this and see what I think about it. It sounds kind of awesome, even if Atwood is a bit grumbly. The SF/Speculative Fiction was a distinction that SF writers themselves understood and made back in the golden age, so I suppose Atwood is simply following a well-established tradition here. For instance, James Blish's "Cities in Flight" (a brilliant novel, by the way) would certainly be sci-fi, while Roger Zelazny's Amber (another brilliant book) would be fantasy. Of course, there is a vast area where these lines blur - would you call Le Guin's The Dispossessed and The Left Hand of Darkness SF or fantasy? And I personally think Atwood writes at or around that blurred borderline. I really enjoyed this book, and I especially enjoyed the same parts you did. Perhaps I should have said that I'd already read Atwood on Orwell--that's such an interesting essay that I taught it for years alongside The Handmaid's Tale. If I'd read it for the first time here, I might have liked this collection better, but it struck me as a bunch of stuff that had mostly been hashed and re-hashed. Interesting. I have only recently "discovered" Atwood in the past year,but am eager to read more by her. I'm in the home stretch of The Robber Bride right now, but maybe this non-fiction work will be my next. Just popping up to say that you might enjoy listening to the Bookrageous podcast - their last episode was their regular book club slot and they were talking about this. I don't read much sci-fi but I find the discussion of how to define speculative and sci-fi interesting to watch from the sidelines. I enjoyed this one too, and as someone who loves fantasy and speculative fiction but has a hard time connecting with straight up sci-fi, I empathised with Atwood's distinction. You should definitely read Negotiating With the Dead, another essay collection of hers! Also, are we still reading King's The Truth About Stories next month? I've avoided reading this one since I first read about it because I so much enjoy Atwood's fiction and did not wish to read a rant against one of my favorite forms of literature. You've changed my mind, Ana. It is now high on my list of books-to-be read. I always saw her rejection of the genre more about marking ($$$) and less about snobbery. I'm always a little confused about the semantics of sci-fi vs dystopia vs. speculative fiction vs. whatever, so I've decided to go with the distinction my dad taught me: is is possible to happen? If yes, it's sci-fi, if not it's fantasy. Glad you liked it and found so much of interest in it! If I had not read most of what is in the book already from other sources I would have liked it a lot better. I did really enjoy the lecture pieces which I think is where the stuff about myth is at. Besides, to paraphrase what China Miéville said when I saw him last year, I find gender labels interesting and useful when we think of them in terms of storytelling traditions that are part of a writer’s arsenal, but not so much when we begin to insist in drawing rigid lines. The older I get, the less I care about genre distinctions in this sense. What a good analogy to make; useful as traditions, not cold hard facts. I'm actually reading Never Let Me Go right now, and I'm tempted to revisit her essay on the novel once I'm finished. Zibilee: I know other people define these things differently than I do and that's completely valid, but personally I just don't see it. Not to say that we couldn't draw distinctions within SF, but the ones I'd personally make just don't correspond to the sections of the library/bookshop, which is why I take these things with a very large grain of salt. anendurngromantic: I've only read a small amount of classic SF criticism, but I'd never come across the distinction Atwood makes. The one Sleepless Reader mentions in her comment, between science fiction and fantasy, seems much more common to me (though obviously I could be wrong!). The most common usage I see is "speculative fiction" as an umbrella term that encompasses science fiction, fantasy, horror, and all the novels we can't neatly classify elsewhere, and that makes a lot more sense to me intuitively than Atwood's definition. But yes, I'm all for blurring the lines! Heather: They made it all worth it, didn't they? Jeanne: That makes perfect sense to me, and I might have felt the same if I'd read those essays before. Discovering them for the first time was just wonderful, though! bibliophilica: I didn't know that about Vonnegut - it's funny, because he's an author that perfectly exemplifies why I don't think Atwood's distinction holds in the real world. She refers to anything in the H.G. Wells tradition (Martian invasion) as SF, and to anything in the Jules Vernes tradition (scientific advances ahead of their time technology might catch up on) as speculative fiction. Vonnegut is closer to the Well tradition than the Vernes one, but he has enough critical cred that he's not really classified as science fiction. I think that carries more weight in how people classify things than whether or not the events of a particular book are likely to ever take place. 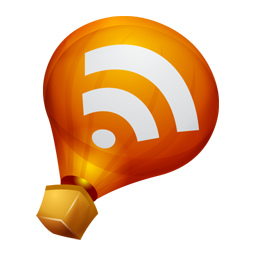 Alex: Thank you for the recommendation - will definitely look for it! I read this last year and was very happy that I did! I have more or less enjoyed every book by Atwood I've ever read, this one included! :) I thougt In Other Worlds was a very interesting read. Gah! Genre labels drive me crazy! I myself use them so randomly that they are practically useless. How I might refer to a genre is generally based on the conversation I'm having, who I'm having that conversation with, and what conventions are expected of me in any given conversation in order to be understood by those participating. Even that can get dicey. I generally do not care -- I'm older and don't want to expend too much energy on things that I don't think really matter all that much. Just call me a curmudgeon! Alex: That's the definition I've always used, too. Stefanie: As I was telling Jeanne, that makes perfect sense. The pieces were all new to me, and it was a pleasure to discover them. Clare: I bet it will be fun to bounce ideas off her piece! Tiina: Yep, she has never let me down so far. anenduringromantic: Yes, that definition makes sense to me too. Even in stories of alien invasions in the Wells tradition, which Atwood classifies as impossible, the gap COULD be bridged if we found other life forms (or if they found us), whereas with magic and elves and etc, not so much - at least not without our understanding of the world having to be revised. Also, you went to Johnson's lecture! I want to go desperately, but only leaving work at 5 plus the snowy conditions made it impossible :\ I would really love to hear more about it - are you thinking of doing a recap post? To be honest, the lecture consisted mostly of Johnson reading out excerpts from her writing. The interesting bit was when she spoke about the continuum between mimetic (representational/realist) writing and mythic writing. On the other hand, today's fiction masterclass workshop was very, very good. Would you like me to e-mail you the (rather sketchy) notes that I have taken over the last two days? I guess what bothers me about Margaret Atwood is that even when she's saying she doesn't despise the science fiction genre, she still SOUNDS as if she despises it. Yet she writes stuff that is pretty clearly science fiction! I don't know. She never fails to sound sniffy, and it never fails to irritate me. I'm not even that big a sci-fi reader. anenduringromantic: I'd love to hear about it, though I definitely don't want it to be a ton of work for you! Cheryl Morgan posted recaps of both the lecture and the masterclass, so my urge to know what they were like is partially satisfied. If you have any details to add and if it's not too time-consuming, I'd of course love to hear them. Also, I really like this bit from Morgan's post: The trouble with taxonomies is that the people who design them tend to get obsessed with proving that their own scheme is correct and complete, forcing them into ever more bizarre contortions in order to shoehorn every work into the boxes they have created, while writers like Mike Harrison, Kelly Link, China Miéville and Kij herself merrily run around blowing those boxes up. Jenny: I know what you mean, but this book actually helped me move away from that impression of her - and that was a wonderful surprise. 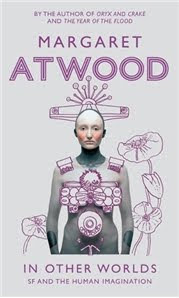 I can't wait to read this book - I love Atwood's writing which always manages to catch me by surprise. I find genre categories useful when trying to describe a book but do also find them troublesome because I think most novels can't be boxed into just one category and often spill over and there still seems to be some sort of genre hierarchy.